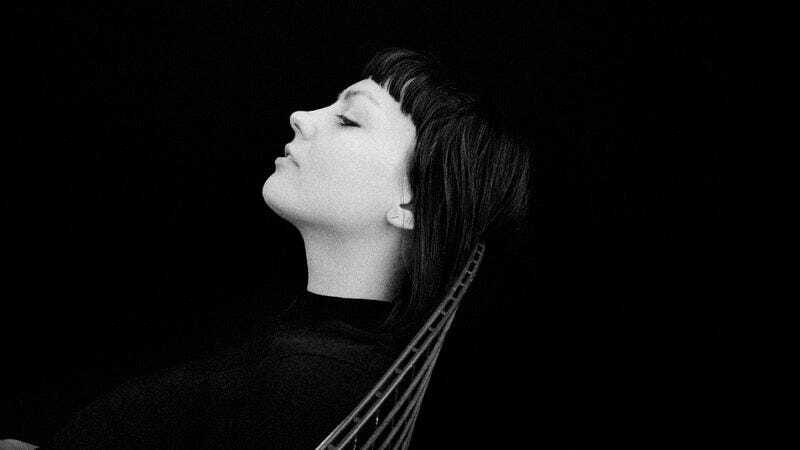 With the soft, synth-laden glow of “Intern,” Angel Olsen opens her third full-length with this defining statement: “Everyone I know has got their own ideal / I just wanna be alive, make something real.” She sounds almost tired, as if she’s had more than enough of hearing about what everyone else thinks she is. 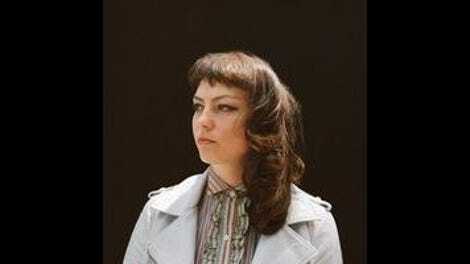 When Olsen broke through with 2014’s staggering Burn Your Fire For No Witness, which shifted mainly between fuzz rock and dusty acoustic tracks, she was quickly pigeonholed as the Sad Girl, an outsider—“a girl at the bottom of a dark well,” as one Chicago radio host put it. With My Woman, Olsen obliterates that narrow perception, raising the bar on her own multifaceted output and building new aspects of her artistic identity in the process. The destruction isn’t total. There are still moments of deep sadness, most notably in My Woman’s second half, and they make up the album’s most spellbinding tracks. But after the gentle introduction, Olsen kicks a raucous opening side into gear, swaying through the jangly ’60s pop breeze of “Never Be Mine” and the pounding “Shut Up Kiss Me,” with its blown-out chorus. “Give It Up” continues the fun with some blistering hooks. By now, if there are any lingering notions of Olsen as some weeping folkie, they’re wheezing their last gasps. She’s not just a rocker or a pop singer either, and here at the crossroads of My Woman is the first glimpse at how many weapons Olsen has in her arsenal. “Not Gonna Kill You” is a vicious, breakneck ride, carrying a sonic darkness so tempestuous it feels as if it could block out the sun. It’s also, by a wide berth, the heaviest track lyrically to this point, as Olsen addresses an overpowering desire to be consumed so totally by love that she’s “nothing else but the feeling.” It nearly comes off the rails just before it ends, as Olsen’s guitar wails and she howls deep into the storm. The album’s second half expands on Olsen’s many sides masterfully, with the dreamy grooves of “Heart Shaped Face” and “Those Were The Days.” But it’s the woozy, Velvet Underground-influenced “Sister” and cosmic psych epic “Woman” that shine brightest. At nearly eight minutes each, both pack whole universes inside them, from the former’s final rollicking solo to the latter’s spacey, kaleidoscopic breaks. On “Woman,” Olsen issues a challenge: “I dare you to understand what makes me a woman.” As the synths fade away, she’s also clearly dared us to understand her as an artist. If there were any expectation for My Woman based on Olsen’s last record it might sound like the desolate finale, “Pops.” Over haunted piano, a heartbroken Olsen sings about a collapsing relationship and, most poignantly, its aftermath—“I’ll be the thing that lives in the dream when it’s gone.” It’s familiar, isolated from the massive scope of the songs that came before. But she’s already laid her multitudes bare. As she said, she just wants to “make something real.” My Woman is one of the realest albums of the year.